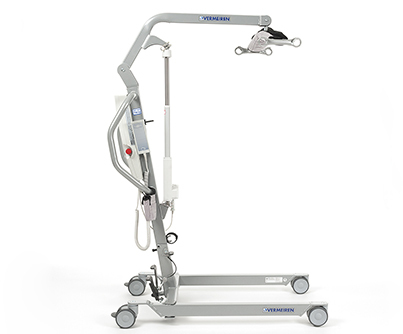 The Vermeiren patient lift was designed to bring a real comfort to the patient during the transfers but also for the people who are taking care of the patient. The patient lift Eagle 620 and Eagle 625 are equipped with the Linak HB7X engine feeding from a battery with an autonomy of approximately 45 lifts. • Quality wheels of 100 mm ensure that this patient lift can be used on almost any underground.